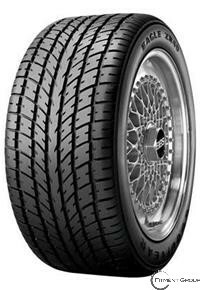 he Goodyear Eagle ZR Gatorback is a summer high performance tire that is Z-speed rated. It is comes as original equipment on some performance sedans, coupes and sports cars. It provides excellent traction and a smooth ride. While the Eagle ZR Gatorback performs well in many weather environments, it is not meant for driving in icy or snowy conditions.